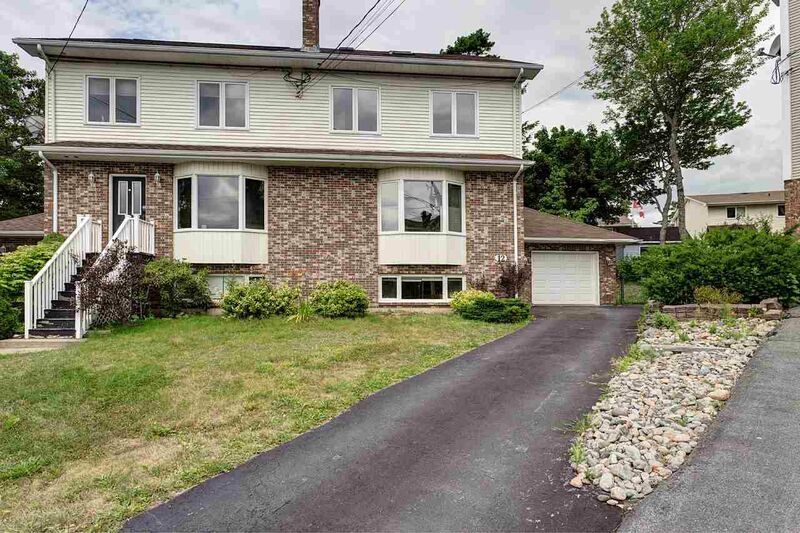 5 bedrooms and 3 ½ baths, plus garage! This unique duplex with 4 levels is located in a sought-after location in a quiet cul-de-sac. Walking distance to school, parks,the rec center, shopping and restaurants. The main level has the living room with a working fireplace, a powder room and a bright open-concept kitchen, including a formal dining area. The kitchen has an island, brand new stove and dishwasher and new range VENTED TO THE OUTSIDE. 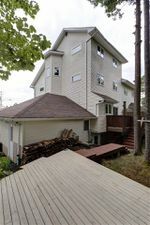 From here, patio doors open on to 2 sunny decks.The second level has three bedrooms and a full bath with double sinks. The huge master bedroom has a lovely view of the Bedford Basin. On the 2nd level you will find the newer washer and dryer. 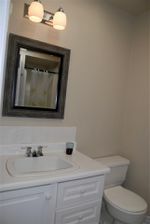 The top level is perfect for when the In-laws come to visit, private with 2 bedrooms and a full bath with a skylight. Also on the 3rd level is a bonus room with skylight, an ideal place to make into a home office or a playroom for the kids. The lower level has new laminate floors in the family room with a pellet stove that will keep your family snug this winter. All this with a heated single garage.